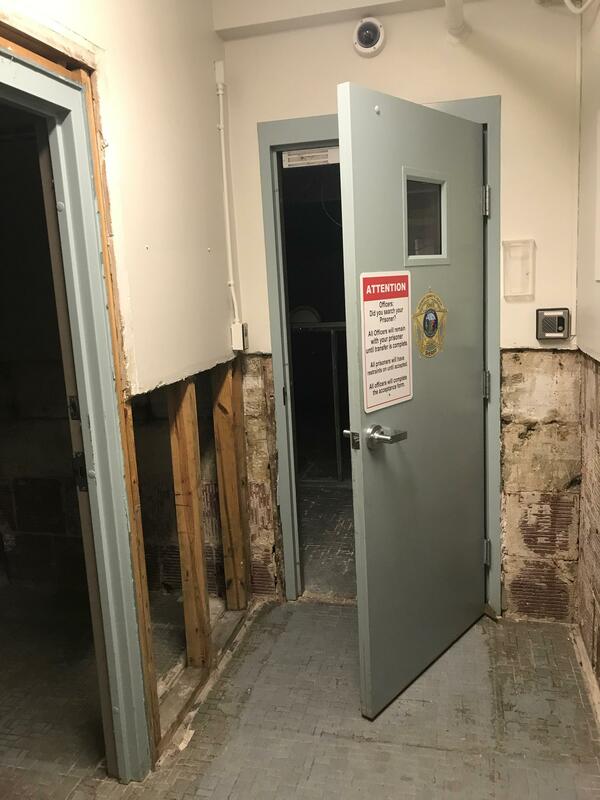 Four months after historic flooding from Hurricane Florence caused widespread damage in Jones County, the county courthouse and jail remain closed for repairs. “We’re just working at the mercy of some of the contractors’ schedules to get here and finish,” said Jones County Manager Franky Howard. 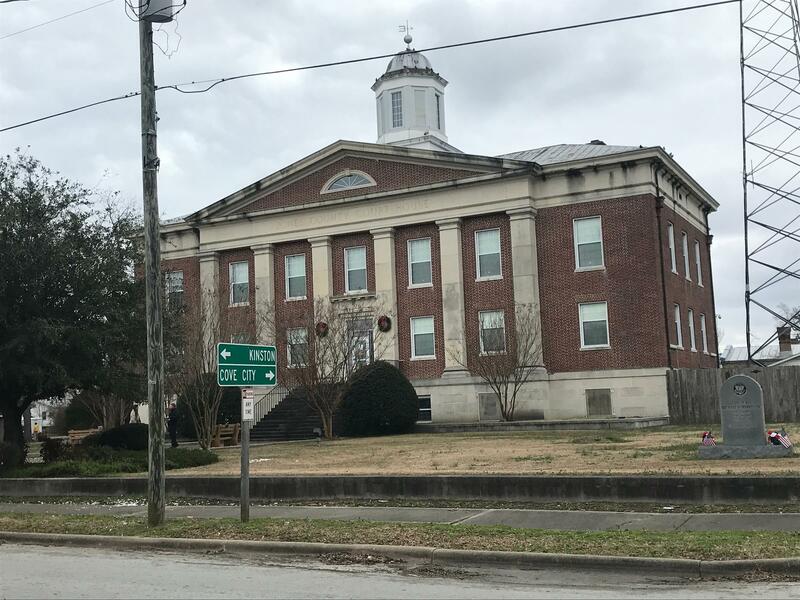 Jones County Courthouse, located in Trenton, N.C., remains closed four months after Hurricane Florence caused extensive water damage inside on Jan. 28, 2019. Almost 800 homes, 44 businesses and 23 public and non-profit buildings were damaged countywide, Howard said. The extensive damage and limited supply of restoration crews working in the county has delayed repairs for many. “A lot of homes, businesses are dealing with the same types of problems with scheduling in contractors because everybody’s busy," he said. All three floors of the 80-year-old county courthouse building had some degree of water damage, with floodwaters reaching nearly three feet in the basement, damaging the boiler, chiller and the controls for the HVAC system. “We’re trying to get those elevated out of the basement, so that if or when they flood again, they won’t be damaged, and we can possibly get back in quicker,” Howard said. Repair work remains incomplete inside the courthouse basement, where the county jail is located, on Jan. 28, 2019. The county has not yet set a date for the courthouse to reopen, but the repair work will likely end in April, Howard said. In the meantime, Superior Court hearings are taking place in the county Civic Center and district court hearings are happening at the county administration building. Moving the jail out of the courthouse basement to a new facility outside of the flood zone would save the county the cost to transfer and house inmates elsewhere during a storm, he said.